Lea, I. 1860. 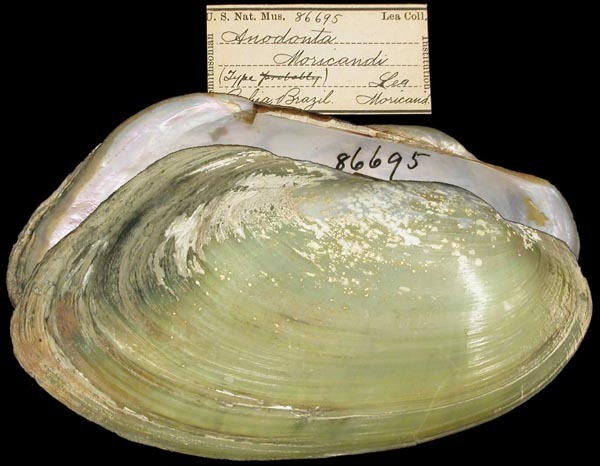 Descriptions of four new species of Unionidæ from Brazil and Buenos Ayres. 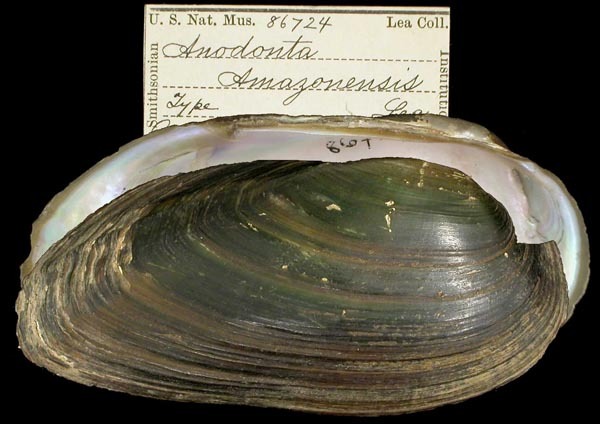 Proceedings of the Academy of Natural Sciences of Philadelphia 12: 89-90. Lea, 1863, Jour. Acad. Nat. Sci. : 395 , pl. 46, fig. 300. Lea, 1860, Proc. Acad. Nat. Sci. : 90. Lea, 1863, Jour. Acad. Nat. Sci. : 396, pl. 49, fig. 303. 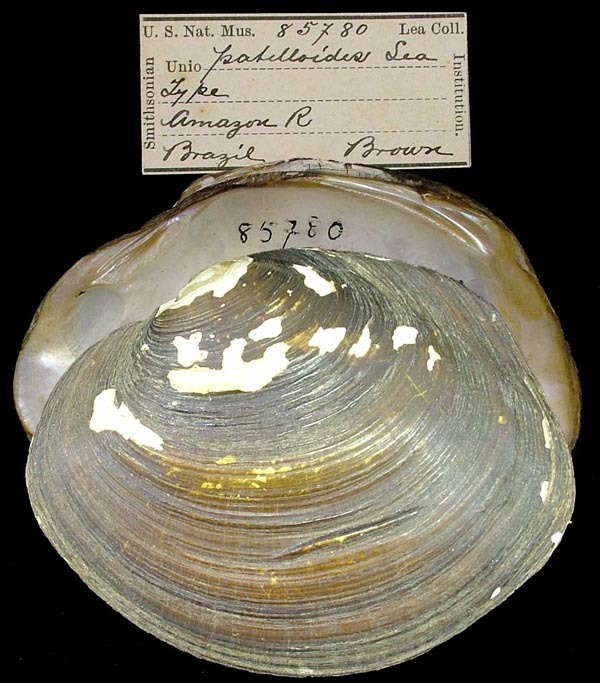 Type(s): HOLOTYPE USNM_86695, Bahia, Brazil. Lea, 1863, Jour. Acad. Nat. Sci. : 383 , pl. 43, fig. 291. 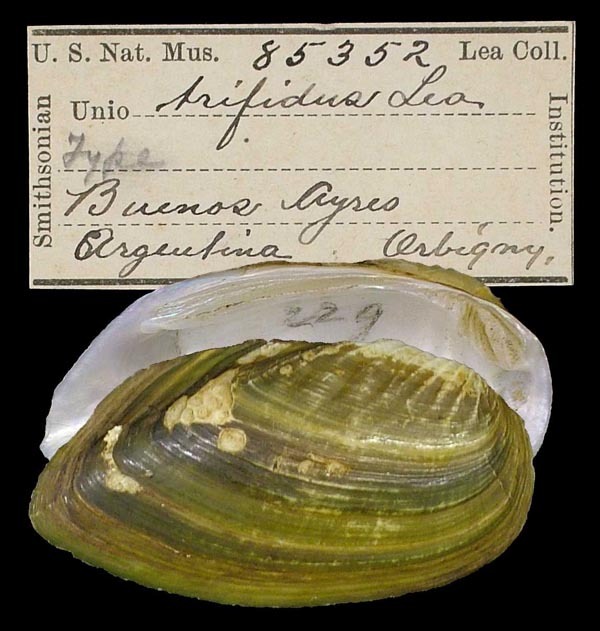 Type(s): HOLOTYPE USNM_85780, Amazon R., Brazil.